CERS book talk by Max Bergholz, Concordia University, History. Discussant: Benjamin Madley, UCLA, History. Abstract: During two terrifying days and nights in early September 1941, the lives of nearly two thousand men, women, and children were taken savagely by their neighbors in Kulen Vakuf, a small rural community straddling today's border between northwest Bosnia and Croatia. This frenzy—in which victims were butchered with farm tools, drowned in rivers, and thrown into deep vertical caves—was the culmination of a chain of local massacres that began earlier in the summer. In Violence as a Generative Force, Max Bergholz tells the story of the sudden and perplexing descent of this once peaceful multiethnic community into extreme violence. This deeply researched microhistory provides provocative insights to questions of global significance: What causes intercommunal violence? How does such violence between neighbors affect their identities and relations? About the speaker: Max Bergholz is Associate Professor of History at Concordia University in Montreal. His research has won support from the Harry Frank Guggenheim Foundation and the American Council of Learned Societies, and his articles have been published in journals such as American Historical Review. 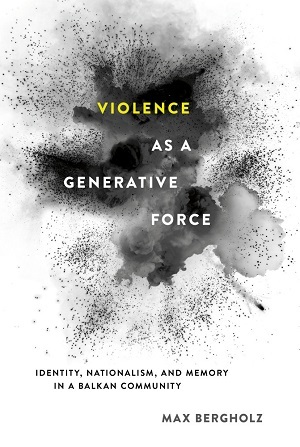 In November 2016, Cornell University Press published his first book, Violence as a Generative Force. About the discussant: Benjamin Madley is Associate Professor of History at UCLA. An historian of Native America, the United States, and colonialism in world history, he writes about American Indians as well as colonial genocides in Africa, Australia, and Europe, often applying a transnational and comparative approach. His first book, An American Genocide: The United States and the California Indian Catastrophe, 1846-1873, for which he received the 2016 Heyday Books History Award, was published by Yale University Press in May.